FOOTBALL. Unsettled Uganda Cranes striker Muhammad Shaban is scheming something sinister for the Caterpillars. A few days ago Onduparaka’s hierarchy appointed defender Rashid Toha as the player on whose bicep the captain’s armband will rest. Toha will deputised by long-serving right back Gasper Adriko, Gadaffi Gadihno and Andama Koko in that pecking order for the 2017/18 Uganda Premier League season. Shaban was deemed unfit to continue with captaincy role following behind-the-scenes spats that put him at crossroads with the club management. 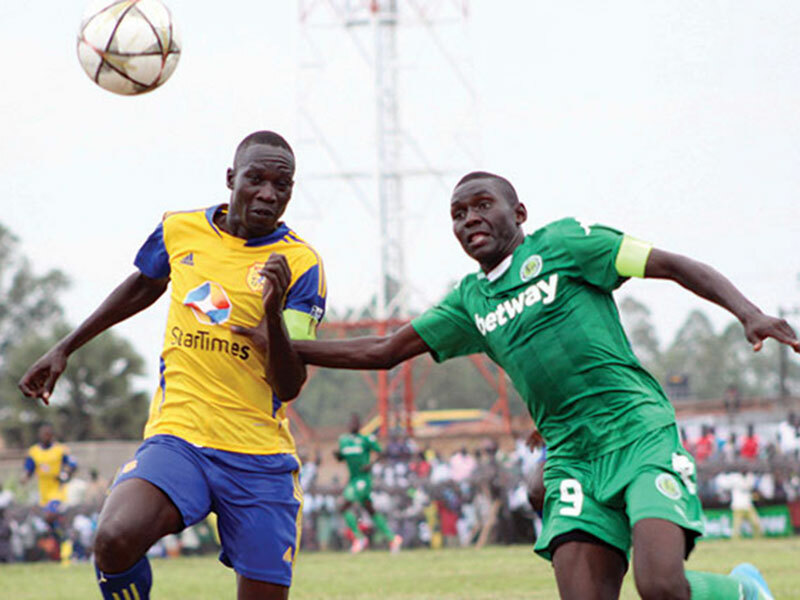 “I thought that slave trade stopped long time ago but some people are still using it,” Shaban wrote on his Facebook page, opening rumours that he was hitting out at Onduparaka team management. After bagging 13 league goals last season that lifted the Arua-based side to a respectable fitth place finish in their maiden season in top flight, a form that saw the talismanic striker earn a place for national team at Africa Cup Of Nations in January, Shaban thinks his current employers are taking his meteoric rise fo granted. Sources at Green Light Stadium further intimate that even before the captaincy debacle, Shaban is alleged to have initially fallen out with his employers, whom he accuses of stifling his ambitions of joining the paid ranks after suitors from South Africa had inquired about his availability. The two events following at the back of each other have left the young prodigy not to stand the sight of the club’s big guns anymore. The Caterpillars are set to begin pre-season training this week, but sources close to Shaban indicate that the player, currently with Uganda Cranes team preparing for their forthcoming CHAN qualifier against South Sudan, will not return to Green Light Stadium for per-season training after national team obligations to accelerate his move elsewhere. It is claimed that Vipers SC, who let go of the player a few seasons ago, are among the teams to have serious interest in the want-away striker. The two-time champions are planning a title assault for next season, all too aware it will not come to fruition without a prolific goal-poacher. And Shaban has been earmarked to fit the bill. League Champions KCCA FC are also said to be monitoring the player’s sulking levels. Onduparaka has been one the busiest sides in the on-going transfer widow with up to eight new faces acquired. Vianney Ssekajugo signed from relegated JMC Hippos joins the cast of former Saints right back Aggrey Kirya, forward Karim Ndugwa, former Nebbi Central fast paced winger Rashid Okocha. Others are Allan Busobozi (from Gulu’s Football For Good Academy), goalkeeper Nicholas Ssebwato (Bright Stars), Bob Kasozi (Express) and Rajab Kakooza (Lweza).